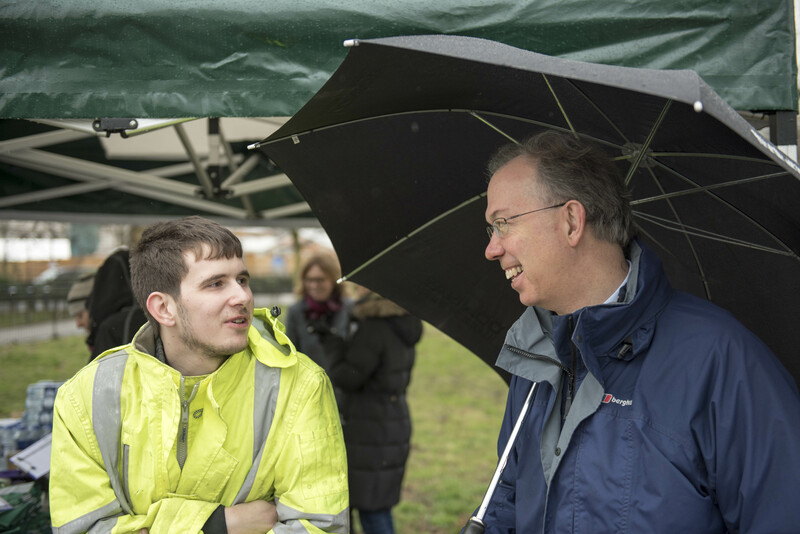 A little rain didn’t dampen spirits at the inaugural Marble Arch Great British Spring Clean in Hyde Park. The Great British Spring Clean is a nationwide campaign to bring people together to tidy and improve parks, pavements, riverbanks and beaches across Britain. 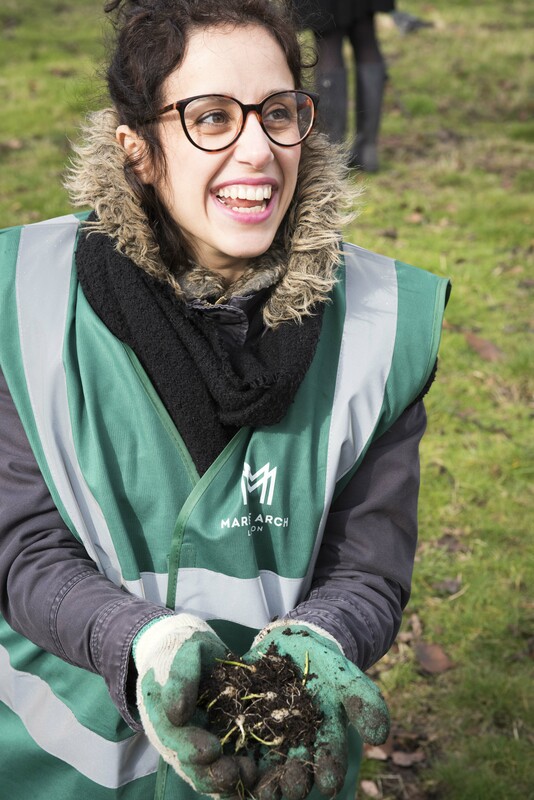 Between 2 and 25 March, over 400,000 people will give their time and on Wednesday 7 March, we had some true Community Champs as employees from local March Arch businesses joined the volunteer effort. 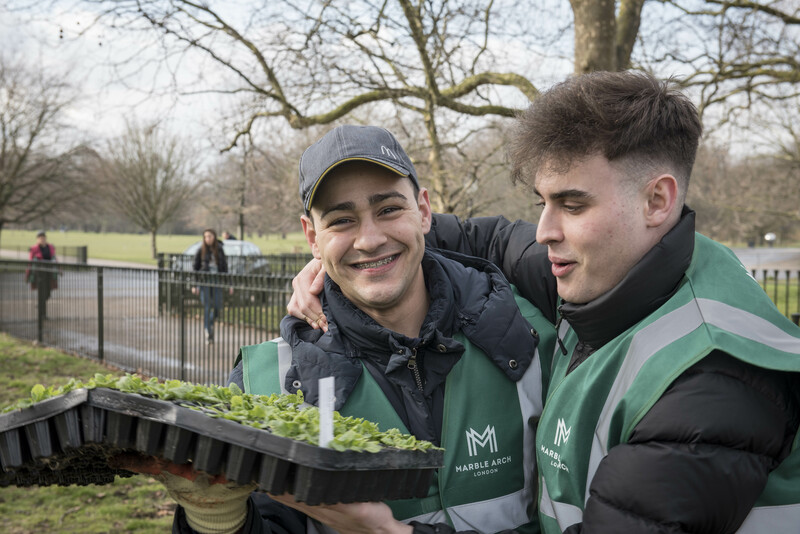 The team of employees from McDonalds, Victory Services Club and Multiplex contractor Careys, planted an incredible 6,500 bulb plugs over the course of just two and a half hours – an average of 210 bulbs being planted by each volunteer during the morning. The bulbs will support the Royal Parks’ Mission: Invertebrate programme. Invertebrates are species of animals without a backbone and make up 96% of all known animals on earth. Worms, spiders and slugs are all invertebrates and whilst not the cutest nor cuddliest of creatures, they play an essential role in ecosystems and we would struggle to survive without them. They pollinate plants, break down and recycle organic material and provide an important source of food for other animals. The bluebells, primrose and lesser selendine planted will offer a vital source of food to these invertebrates at the start of Spring. 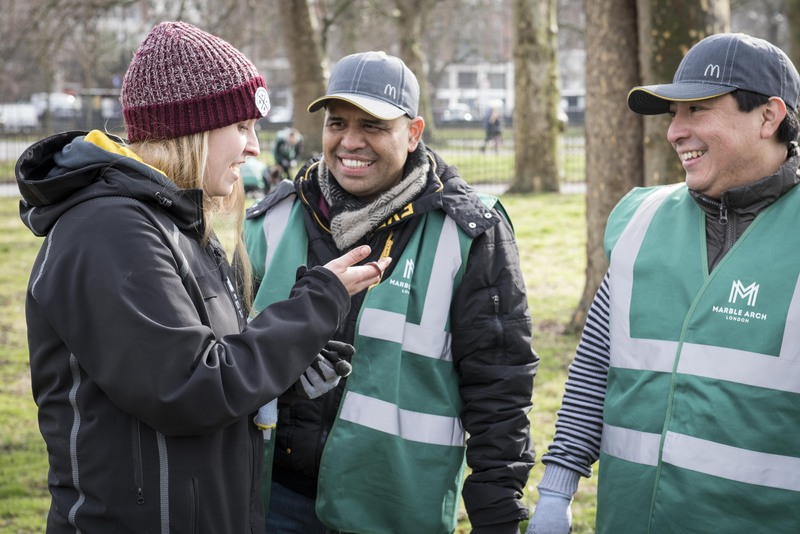 The Capital Arches Group owns and operates 21 McDonalds branches across London and sent 28 volunteers from 6 of their local restaurants to be part of the Great British Spring Clean. Over the course of the morning, staff got to interact with colleagues from neighbouring branches and work alongside each other; many highlighting the teamwork as being the most enjoyable aspect of the morning. The bulbs will take root over the next 6 weeks and by May you should be able to see the results. Do visit the Cumberland Gate entrance of Hyde Park by Speaker’s Corner to see the clusters of colour for yourself. Based on the success of the first Spring Clean, Marble Arch Partnership plans to run events of this kind in the future. If you are interested in being involved, please contact our Community Programme Manager, Emily.